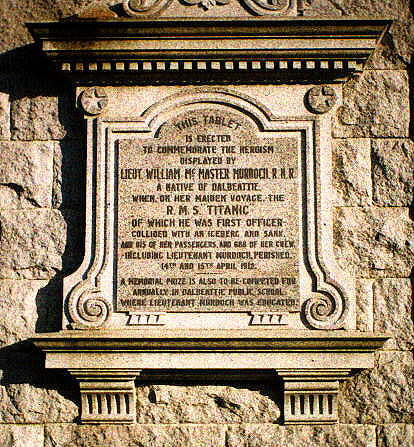 One of the most famous nights ever was the night that the RMS Titanic struck and iceberg and sank. The death toll for the Titanic sinking was over 1500 people, and when the 705 survivors got back to New York City, everyone wanted to know what happened and why such a tragedy had taken place. The surviving officers were asked questions, but the highest ranking officer, Second Officer Charles Herbert Lightoller was not at the bridge during the collision. The man who had been in charge at the time the Titanic hit the iceberg was First Officer William Murdoch, but unfortunately, he did not survive the sinking and some passengers swear he shot himself up on the Titanic’s deck. 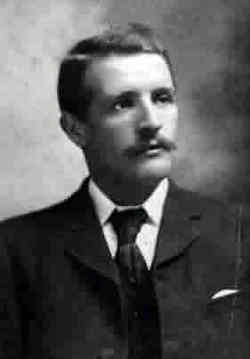 William McMaster Murdoch was born in Kirkcudbrightshire, Scotland in 1873. Murdoch’s father was Samuel Murdoch, a master Mariner, and the name of Murdoch’s mother was Jane Muirhead. The Murdoch family name was a well-known one for being dedicated to the sea, and every male child in going back as far back as the 1800s were involved with the sea. When Murdoch was 14 years old, he was ready to head to sea. After five years, and four voyages, Murdoch was ready and received his second mate’s certificate. From there, Murdoch earned more certificates, and by the time he was 24 years old, he was a First Officer. By 1900, Murdoch joined the White Star Line and served with his future Titanic fellow officer, Charles Lightoller on the Medic. While Murdoch’s career was on the rise, his love life was blossoming as well, and in 1903, he met a school teacher named Ada Banks while she was a passenger on the Medic. After a four year courtship, Murdoch and Banks got married in Southampton, England. Finally, in 1911, Murdoch’s big break came when he was asked to join the crew of the RMS Olympic, and then to the grandest ship of all, the RMS Titanic. On the night of April 14, 1912, First Officer William Murdoch relieved Second Officer Charles Lightoller, and the two men parted ways. Murdoch was on the bridge keeping a sharp eye out, and Quartermaster Robert Hitchens was at the wheel. At 11:40 p.m., when the bells from the crow’s nest bell went off three times, and the phone was answered, the news from above was that there was an iceberg right up ahead and something had to be done. Murdoch immediately flew into action, and while telling Hitchens to turn the wheel toward the port side with his order of hard a starboard, he also signaled the engine room to reverse the engines. Hitchens turned the wheel all the way over, but many experts feel that the decision to reverse the engine was a mistake because the sudden change in momentum might have had an effect on the ship’s ability to turn fast enough to avoid the iceberg all together. The glancing blow along the Titanic’s hull spelled instant doom for the ship, and now everyone looked at Murdoch as the one to blame since he was the one in charge of the bridge at the time. As the RMS Titanic was sinking, the officers were trying to get as many women and children as they could into the 20 lifeboats. While officers like Second Officer Charles Lightoller claim they saw Murdoch trying to free a collapsible boat, many of the surviving passengers swear that an officer shot himself, and point the finger at Murdoch as the man who did it. However, it was difficult for anyone to know for sure if any officer committed suicide because the body of First Officer William Murdoch was never recovered. However, Murdoch was considered a hero, and there was a special memorial that was erected in his honor. 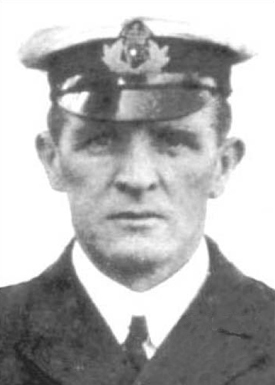 At the age of 39, First Officer William Murdoch did not survive the sinking of the RMS Titanic, and whether he was responsible for the fact that the grandest ship in the world struck an iceberg. Whether he took his own life or not, Murdoch last confirmed place he was seen helping to take down a collapsible lifeboat so more women and children could be saved. 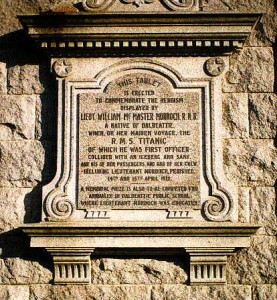 Murdoch was a proud man that loved the sea, and did his best to save women and children when the Titanic sank, and his memory should remain as such.